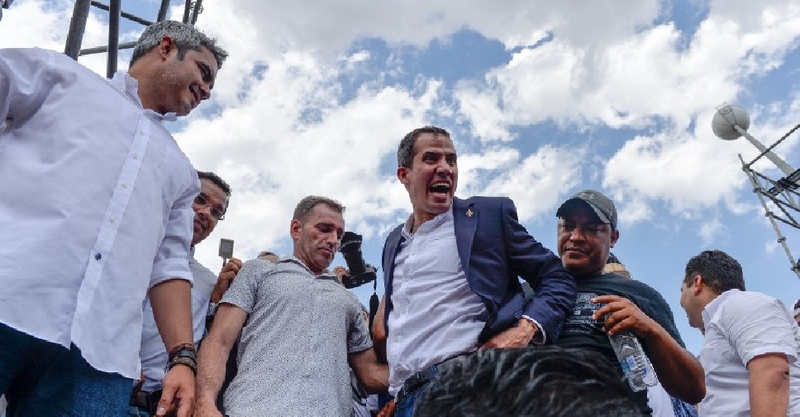 Venezuela's self-declared interim president, Juan Guaido, has defied the threat of arrest to return home on Monday. "We are here in Venezuela. We are stronger than ever. We are going to achieve the end of the usurpation very soon in Venezuela," he told a huge rally gathered at Caracas airport on Monday. Guaido's homecoming has reignited the opposition's bid to oust embattled Venezuelan President Nicolas Maduro. The US and about 50 other countries have recognised Guaido as Venezuela's legitimate leader, arguing that last year's re-election of Maduro was illegitimate.